Premature deaths due to air pollution in Malta have continued to rise, totalling 270 two years ago, according to a European Environment Agency report. The tally of deaths before a person’s expected age that could be attributed to pollutants in the air – fine particulate matter, nitrogen dioxide and ozone – emerges from the latest edition of the annual Air Quality in Europe report. Previous editions of the report found that the number of premature deaths stood at 220 in 2012 and 250 in 2014 but the average levels of fine particulate matter and nitrogen dioxide have both risen further since. The premature deaths estimated in the latest report represent more than 710 years of life lost. Malta is also among 12 countries the report indicates are still some way off pollution reduction targets set for 2020. Across Europe, the report found that road transport remained one of the main sources of air pollution, along with emissions from agriculture, energy production, industry and households. Heart disease and stroke are the most common reasons for premature death attributed to air pollution, followed by lung disease and lung cancer. Fine particulate matter was responsible for 391,000 premature deaths in the EU, although a wider assessment indicates that these deaths have been cut by around half a million since 1990. The report attributes this decline to the implementation of European air quality policies and measures promoting cleaner cars, industry and energy production. “Air pollution is an invisible killer and we need to step up our efforts to address the causes,” said EEA executive director Hans Bruyninckx. “In terms of air pollution, road transport emissions are often more harmful than those from other sources as these happen at ground level and tend to occur in cities, close to people. “That is why it is so important that Europe redoubles its efforts to reduce emissions caused by transport, energy and agriculture and invest in making them cleaner and more sustainable,” he added. 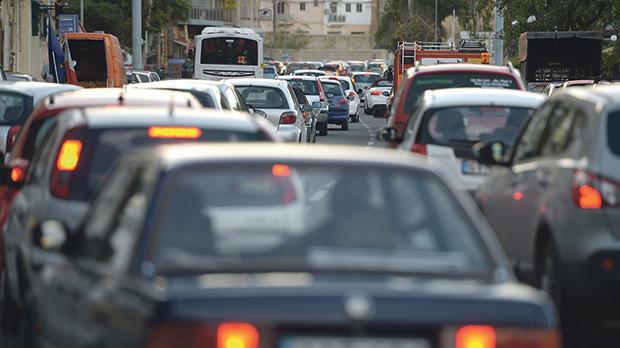 In Malta, vehicle emissions continue to be the biggest source of pollution and the government announced last year it would be looking into setting a cut-off date for the sale of new petrol and diesel cars. The Sunday Times of Malta reported earlier this year that ships sailing or bunkering just off Malta generated more toxic emissions than the equivalent of 30 Marsa power stations. Cruise ships in Grand Harbour contributed to toxin levels 10 times higher than the island’s most congested roads, according to another study.